Welcome to the Apple Shed Kitchen & Bar. 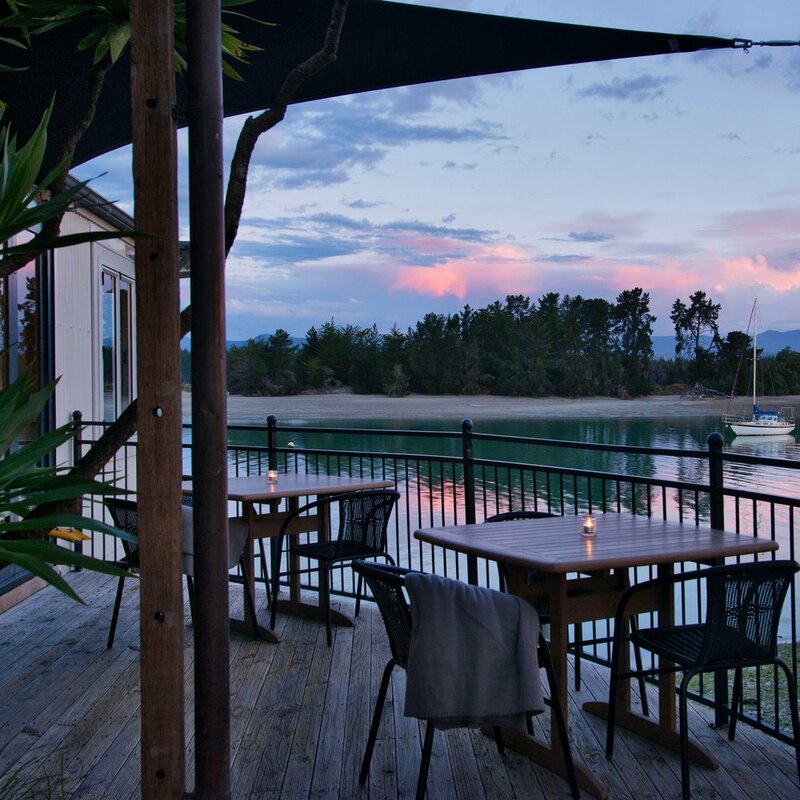 We are located over the water on Mapua Wharf, with unrivalled views across the Waimea Inlet. The Apple Shed offers a simple and seasonally driven menu, complimented by a carefully selected range of wine, beer, cider. 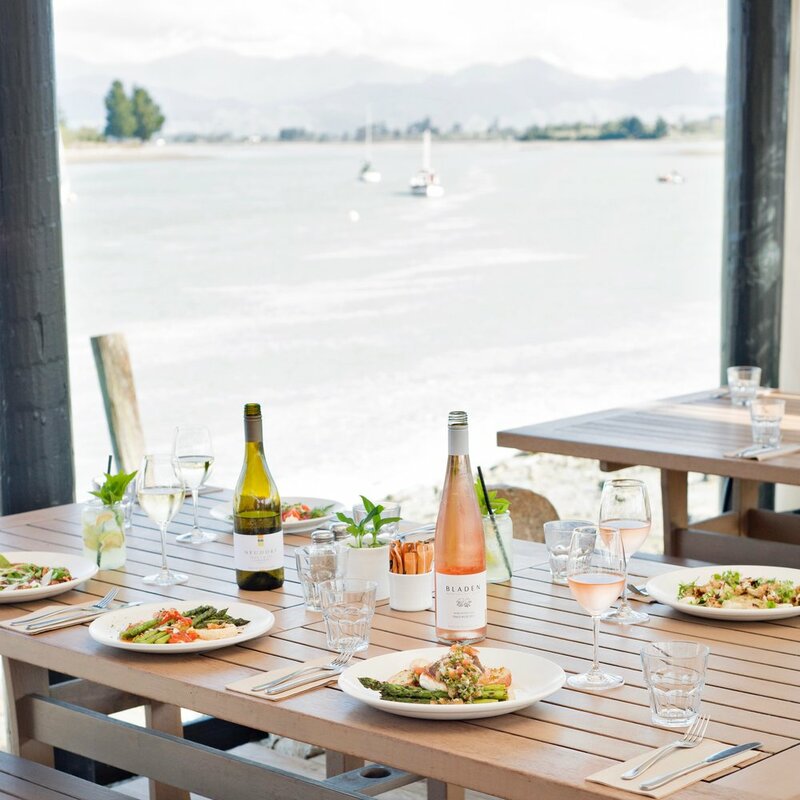 Once an original fruit storage shed, the restaurant is a natural, inviting space, framed by large bi-fold windows and doors making the most of its picturesque waterfront location. The Apple Shed is the perfect place to enjoy your morning coffee, lunch with family and friends or an intimate dinner. Open daily from 10.30am until late.